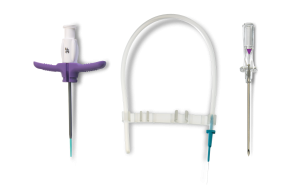 GaltNeedleTech™ introduces the MicroSlide® line of vascular access products for smaller patients and smaller vessels. Maintaining the features that are preferred in our current offerings, this gives the clinician an added advantage to size the product to the patient. Patients benefit from being accessed by the appropriately sized products.